Loudoun County Sheriff’s Office and Virginia State Police investigators today were still on the scene of last night’s fatal stabbing in Ashburn, but little new information has been released. 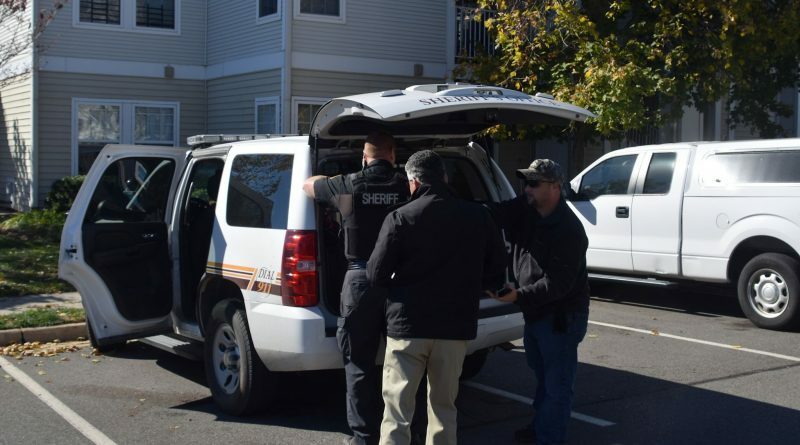 Deputies were called to Whitford Square at the Ashburn Meadows apartment complex around 6:15 p.m. Friday. A 19-year-old Ashburn man was found suffering stab wounds. He was taken to a local hospital and was listed in stable condition. During a search of the area, a body of a 22-year-old man, of no fixed address, was found in a nearby wooded area. His identity has ben not been released pending notification of next of kin. Investigators say the assault appeared to be targeted, possibly with gang connections, and there was no threat to the community at-large. Chief Brown and the liberal members of my Town Council in Leesburg continues to say that the gangs are only an “issue” as they are blinded. After watching a lengthy video last year, from an hour long meeting at the Leesburg Police Station highlighting the status of local NoVa gangs, I’m at least glad to know that Sheriff Chapman and the Northern Virginia Regional Gang Task Force are taking matters very seriously due to the rapid increase in membership and serious criminality. If we could only get our primary leaders (McAuliffe and Obama or whomever the next President will be) to take matters more seriously, perhaps this type of situation will be minimized. Sadly, my Town has no proactive approach towards combating gangs, illegal aliens (most Latino members are reported to be), etc. ; however, there is a resource officer in the high schools, which is a start, but relatively ineffective as the gangs start recruiting younger.